I learned what it means to be an American from my parents, Depression-era kids who fought and worked to make the world a better place. My dad fought in World War II and was a union shop steward who turned to cattle ranching to provide for his family, and my mom was a bookkeeper who worked tirelessly to make ends meet. Our family has a long history of fighting for what’s right in America, starting with my great-grandfather, an immigrant and a union organizer who died fighting for workers’ rights in Pittsburgh. My family taught me that in America we stand up for the little guy, show compassion to those that need a hand up and do what’s right, no matter the cost. That’s what makes our nation great. Now, 500 days into the Trump presidency, I wake up every day to an America that I recognize a little less, our values and priorities drifting a little further out of focus. Our president has cultivated fear and racism to the point that America now tears children away from mothers and separates families searching for the American dream along our nation’s southern border. We live under an administration that is so cold-hearted and beholden to corporate greed that they are callously working to gut one of Obamacare’s most important provisions: protections for people with pre-existing conditions. In our district alone, there are more than 300,000 people, an estimated 40,000 of them children, who, as a result of this policy will see increased rates or be denied coverage altogether. My folks wouldn’t recognize this America. It’s time to change that. That’s why I’m running to represent you in Congress, because the stakes of this election are too high, the issues too vital to who we are, to not to step up for the people of the district. I’ve known in my heart that our campaign gives Democrats the best chance of removing Scott Tipton from office in November, and I hope you’ll join us. Since we launched this campaign, we’ve put 30,000 miles on my truck, held more than 100 public events in all 29 counties that make up this amazing district, and met with thousands of voters. Through all of that, I can tell you that no matter how bad it gets, there is reason for hope right here in our district. From Pueblo to Durango and all the way to Walden, people are ready to stand up and make their voices heard. There’s an energy and a thirst for change that’s hard to describe, but is incredibly inspiring. Whether I’m marching with 85-year-old great grandmothers in Pueblo or watching 16-year-olds in Grand Junction lead thousands in protests over school safety, I can tell you that the people of Colorado are not going to lay down and let Trump divide our great nation. I hope voters across Colorado feel the same optimism – despite our many challenges – that I feel every day as a candidate for Congress. Because every day I see an eagerness to work together to stand up to Donald Trump and get our health care costs under control by fixing the ACA; properly fund our public schools and expand educational opportunities; protect our public lands and grow our booming outdoor recreation economy; and get back to treating those who come to this country seeking a better life with the same dignity and respect we give to our neighbors. If you’re looking for the same optimism I feel every day, I hope you will follow the lead of Pueblo’s teachers, and dive in, get involved and demand change. The values we all grew up with are still strong, but we have no choice but to fight for them. It’s why I was proud to stand shoulder to shoulder with Pueblo’s teachers in their fight for fair pay and the treatment they deserve. And, recently, I’ve been proud to earn their endorsement in this campaign. I humbly ask for your support and your vote on your primary ballot due June 26. I can’t wait to get to work for you in Washington because Congress can be so much more than it is right now. Together, we can make it work for us and put Colorado first. 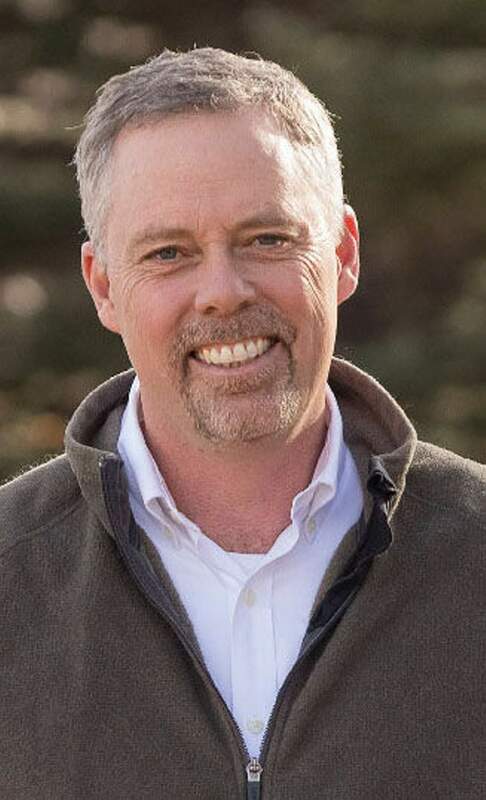 Karl Hanlon is a candidate in the Democratic primary election for the Colorado District 3 seat in Congress. He is running against Diane Mitsch Bush and Arn Menconi.